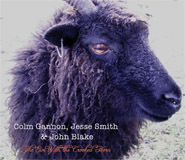 The Ewe with the Crooked Horn is the new CD (2010) of Irish Traditional music by Colm Gannon, Jesse Smith and John Blake featuring accordion, fiddle and flute with guitar and piano accompaniment. 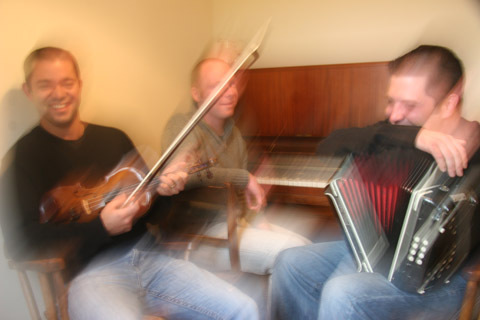 Colm Gannon (accordion) and Jesse Smith (fiddle) began playing music together in their teenage years. Following their first encounter in New York, in 1993, they were given the opportunity to play with friend and fiddle player Tina Lech at the prestigious Wolf Trap Folk Festival in D.C. 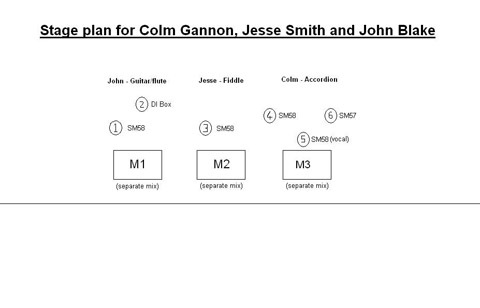 In 1998 Jesse and Colm moved to Ennis, Co. Clare where they met John Blake (flute, guitar, and piano). They have been playing music together and also in various combinations of groups and bands since then and The Ewe with the Crooked Horn is their first collaborative recording. Colm Gannon was born and grew up in Dorchester, Boston, Massachusetts of Connemara parents, his father John, from Droim and his mother Gerry from Tuirin. 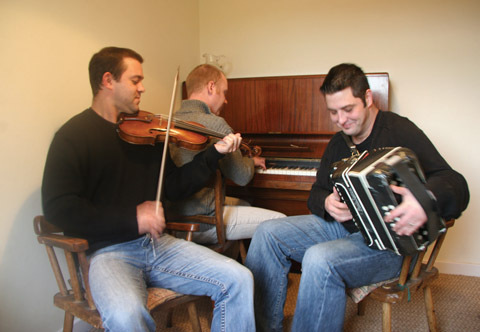 He learned to play music from his father and brother Sean, both excellent stylists on button accordion. Colm went on to win the esteemed All Ireland Champion title in 1994. After living in Ennis, Co. Clare for a couple of years, where he enjoyed listening to and playing music there, he joined Riverdance with which he toured for four years. He has also toured the states with the renowned Sligo based band Dervish and played with Dolly Parton in Dollywood while performing with the show Ragus. Colm has taught at many of Irelands most recognized summer and winter festivals including The Willie Clancy, and Frankie Kennedy schools. He’s appeared on numerous television shows including Nation Wide, the BBC’s Blas Ceol, and a number of TG4 programs. 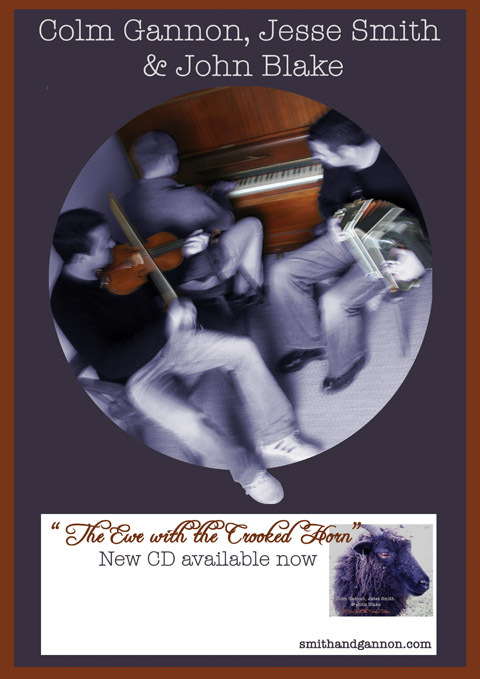 For the last few years he has lived in his father’s home place Droim which features in the title of his solo album Return to Droim (2005) with guests John Carty (banjo), Jesse Smith (fiddle) and John Blake (piano, guitar and bouzouki). 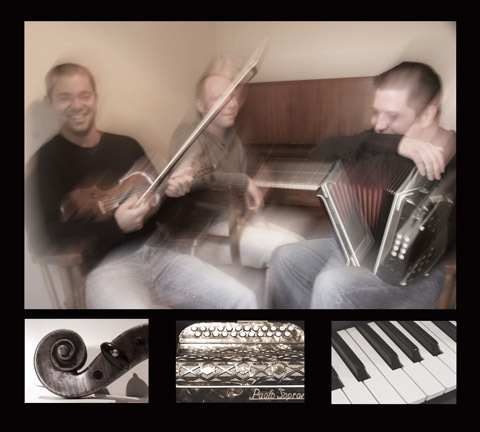 This CD is considered by many enthusiasts to be one of the finest accordion albums available. Fiddle player, Jesse was born into a musical family. His mother Donna Long has recorded and performed with, most notably, Brendan Mulvihill and the American-based band, Cherish the Ladies. His dad John sings and plays the guitar. Jesse grew up immersed in the Irish music tradition having spent his childhood surrounded by many of the great Irish American musicians. He started learning the fiddle at age twelve from Mulvihill. He moved to Ireland in 1998 and has since toured with the band Danu for three years, recording two CDs with them, and receiving an award from the BBC in 2001. He has recorded one CD with The Tap Room Trio, and appeared as a guest musician on albums by Harry Bradley, Cherish the Ladies, Colm Gannon, Alan Kelly, Sharon Shannon, Enda Scahill, Tim Dennehy and Donna Long. His well received 2002 solo recording entitled Jigs and Reels appeared in Earle Hitchner’s Top Ten Albums of the Year column in US paper, The Irish Echo. He teaches at many of the Irish music summer schools and is an annual teacher at the Willie Clancy summer school. Television appearances include Geantrai, The Raw Bar, and the RTE program The Reel Deal. Most recently he has received a Master of Arts degree from Dundalk Institute of Technology for his research thesis on Sligo’s Michael Coleman, which he plans to publish in the near future. 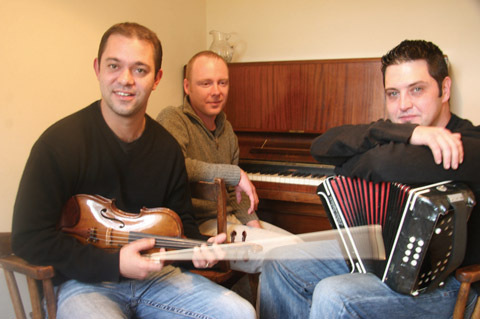 London born John Blake began learning music at an early age from Galway fiddler Brendan Mulkere. John has lived in Ireland since 1998 where he has made a name for himself as a great and versatile musician. He has toured with some of Irish music’s most celebrated musicians including James Kelly and Noel Hill, and was a member of the well known band Teada. He has been involved in recording, producing and playing on nearly thirty recordings in the last ten years with musicians such as Brian Rooney, Peter and Angelina Carberry, P.J. Crotty, James Cullinan, John Carty, and Harry Bradley. 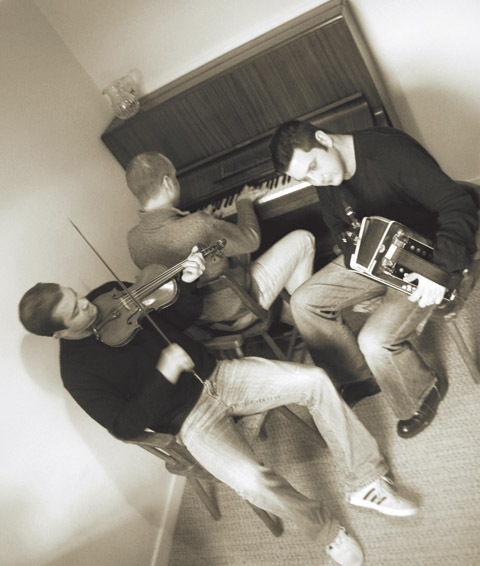 Along with Lamond Gillespie and Mick Leahy, he has recorded two albums -Traditional Irish Music from London and Humours of Highgate both of which have wonderfully captured the spirit of Irish music from London.